Happy winners of the men’s coxed four, from left to right: Andrea Maestrale, Niccolo Pagani, Raffele Giulivo, Leonardo Pietra Caprina and Enrico D’Aniello, Italy. Photo: FISA. After five days of racing, the 2017 World Rowing Under-23 Championships concluded yesterday in Plovdiv, Bulgaria. 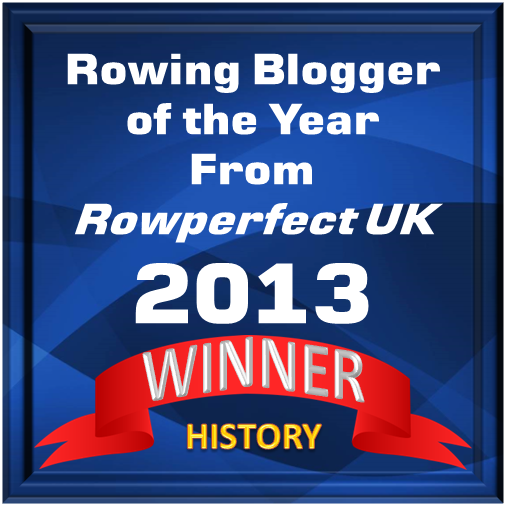 The racing began with a roar as new Under-23 World Best Times were set with Plovdiv providing ideal rowing conditions. New Under-23 World Best Times were set in ten out of the 21 boat classes contested as standards continue to rise at the Under-23 level. New Under-23 World Best Time holder Marieke Keijser of the Netherlands successfully defended her 2016 title to win the lightweight women’s single sculls. Keijser dominated the race ahead of Clara Guerra of Italy and Nicole Van Wyk of South Africa. Also setting a new Under-23 World Best Time and winning the gold medal in the lightweight men’s single scull was Uncas Batista of Brazil. It was a historic moment for Latin American rowing as Brazil’s Batista beat Mexico’s Alexis Lopez Garcia, who won the silver medal. Italy’s Lorenzo Galano was third. 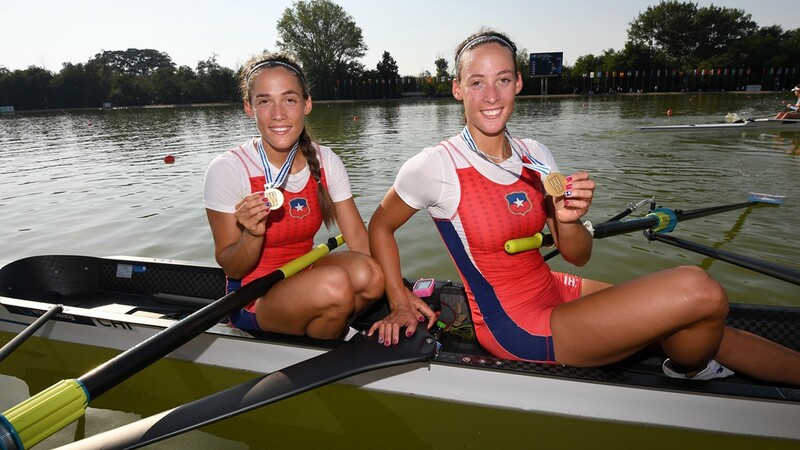 Continuing with Latin America, there was an upset in the women’s pair when the Abraham sisters, Melita and Antonia, of Chile took gold ahead of Australia and the United States. For the men’s pair Romania’s Mihaita-Vasile Tiganescu and Cosmin Pascari won ahead of France and last year’s winners, Serbia. Melita and Antonia Abraham of Chile took the gold in the pairs. Photo: FISA. The men’s eight was won by the Netherlands for the second year in a row in a final that saw Romania come flying through at the end to take silver while Great Britain took third. The Dutch also set a new Under-23 World Best Time in the eight. In the women’s eight Canada were World Champions in a dramatic race finishing ahead of the United States which came through to win a gusty silver medal despite having equipment problems. Russia was third. Medals were awarded to 28 nations including Indonesia, Mexico and Spain. Italy topped the Medals Table at the end of the regatta. Italy won a total of ten medals including five golds, three silver and two bronze medals. The Netherlands was second with four medals, three of them gold and Great Britain was third with five medals, two of them gold. The full result lists are here.